My loyal readers, I know most of you read this blog on a daily basis but for those who do not, please pop back onto this site one week from now for a special announcement. Am I artificially building hype for something you’ll probably be let down by? That’s almost guaranteed. Am I going to do it anyways? You bet! I won’t tip my cap and give away any hints during the week so you’ll just have to wait for the whole week. Remember! Make sure you come back seven days from now (or just keep reading all week)! In less than one week, we will be reminded how as a species, if we channel our will and energies into the right place, we can accomplish amazing things. The Mars Science Laboratory or Curiosity will land on the surface of Mars at approximately 10:31 PM PST on Sunday, August 5, 2012. The mission will attempt to deliver the largest rover to Martian surface to date using a land system not utilized before. 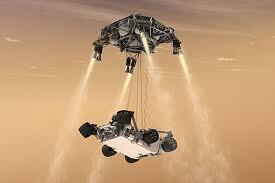 The new landing technique was required due to the size of the rover. For second time in history, an orbiting spacecraft will witness a lander’s descent onto Mars, as NASA has positioned Odyssey to observe the magical moment. I get so excited when it comes to planetary space probes. I know we live in world that is far from perfect but it’s times like these I feel like we were able to get it together just long enough to send an incredible piece of machinery and land it on another planet. Visit the official NASA Curiosity site for a real-time countdown to the landing and for links to live video of the control room during the landing. I cannot wait for Sunday night! I have no idea who, amongst my loyal readers, is currently in Rwanda right now but thank you for taking the time visit this blog. You must be on quite the trip right now. Thank you for your readership! I rarely get compliments on my clothes but today I wore the t-shirt that you see above. I bought it last night at Old Navy. When I was out getting my lunch, the dude behind the counter at Noodle Box said he liked my shirt. Was he just trying to be nice to get a tip? Possibly, but he seemed genuine about it and he even made a Boba Fett joke. Then at dinner, I was at a restaurant and was making my way to the little boys room when I passed by a dude who was not my server. He also complimented me on my shirt. I can’t remember the last time anyone liked my clothing enough to mention it twice in one day. 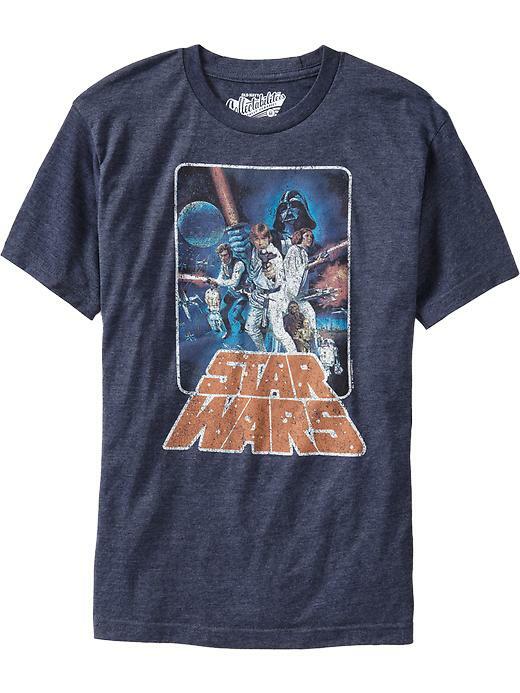 I hope people realize I’m wearing the shirt because I like Star Wars and not because I’m some hipster doofus who only likes old school stuff to be cool. I was a Star Wars fan long before it was cool! Maybe it’s time for me to get some Lord of the Rings t-shirts! I wrote about this phenomenon in an earlier post but it’s happened again tonight. It again smells like fermented black bean paste in a huge area area around my apartment building. I can’t even imagine how wide the radius is. It smells in my hallway and it smells when I step out onto my balcony. It’s starting to seep into my apartment itself now. I really wish I knew who to ask to figure out this mystery, like a department of urban phenomenon or something. Where is that smell coming from? The source must be either huge or super concentrated. I’m guessing it might be coming from a monster of similar size that was featured in the movie Cloverfield. I have absolutely no evidence to base that guess on but it sure seems like the most likely scenario. 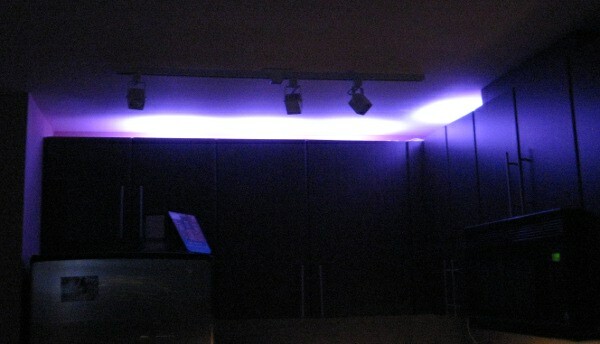 What you see above is a picture of my kitchen cabinets with some LED accent lights that I installed myself from Ikea. The picture is a crappy one but I assure you it doesn’t look washed out with all the white light in real life. With your own eyes, it actually looks like a nice shade of purple. I can make them almost any colour I want using the controls and even cycle the colours automatically. These are the same type of LED lights I used for the back of my TV. I originally did a quick test installation underneath my cabinets but the result was too extreme. Having coloured lights right down at eye level was a bit weird. Once I put them above my cabinets, it was clear that was the way to go. That also allowed the light to reflect off the white ceiling of my kitchen which gives a nice effect. I’ll try to update this post with a video of the colour cycling later on. You don’t get to see my visitor logs for this site, which sometimes gives me some entertaining insights into what people are looking for when they randomly click into my domain. The above image shows just a snippet of how people got here using search engines for the last few days. Can you tell the Olympics are around the corner? Over the weekend I saw the new Batman movie and ahead of it was the first teaser trailer for Man of Steel, the second attempt in the last ten years to reboot the Superman movie franchise. I’ve adopted for a ho-hum attitude for Superman movies for many, many years now so I was very skeptical of this new movie. This trailer was really well made though and it caused me to have some hope that it might actually be a decent film. It used a really great piece from Lord of the Rings for the music. I also liked how it showed Clark as a normal, average Joe doing things we’ve never seen do before, like working on a fishing boat and hitchhiking. So many films have shown Clark to be nothing but a suit wearing and bespectacled dude outside of the costume. It was really refreshing to see him look completely different when not being Superman. The movie won’t be out for another year so there’s lot of room for it to go completely off the rails but I have a tiny bit of optimism now. Oh, and don’t tell anyone but here’s the longer and much more juicier trailer shown at Comic Con this month. It’s a bit fuzzy at times but you see Superman in his new suit in much more detail. Boo! The link was taken down. I am posting this to pander to the almost universal love of kittens. Posted on July 21, 2012 Leave a comment on IT’S A KITTEN! This week the city of Vancouver was the host for a conference on Alzheimer’s. I saw a few of the conference delegates walking downtown in the evenings. One of the reports presented during the conference stated the perfect amount of sleep, as it pertains to cognitive function, was seven hours. Any less or any more, led to a decline in cognitive abilities. If this is indeed the case, I’m going to be screwed later in life because I often get less than seven hours of sleep. I sometimes get about seven hours on the weekend but I’ve read that you can’t make up sleep debt like you can with a monetary debt. I really should try harder to get more rest during the week day. Let me start by ending this post here. Get to bed early tonight folks!